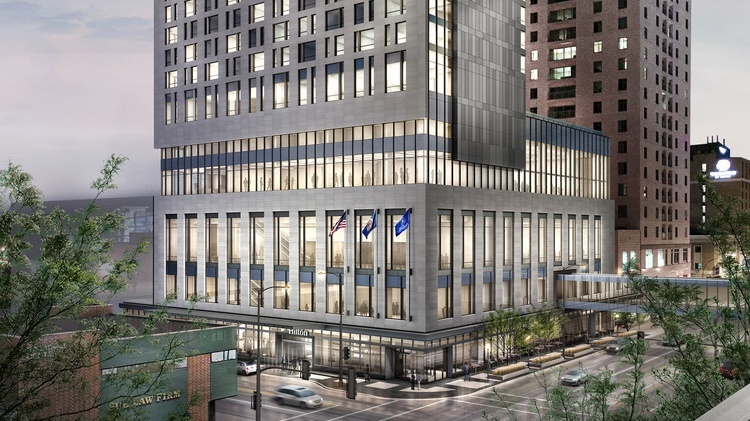 Located two blocks from the renowned Mayo Clinic, the Legacy Fund 1 building includes a 264-room hotel, conference center, fitness center with pool and wellness terrace, and retail and office space, all connected to a seven-level parking structure. The architecture features a six-story, granite, glass, and metal panel podium housing retail, a conference center, and a fitness/wellness center. This is followed by a vertical tower clad in glass and simulated, variegated limestone metal panels. The aesthetic recalls the quilted pattern of Midwestern agricultural landscapes viewed from above, while also paying homage to the exterior of the Mayo Building. Interior planning aesthetically integrates the hotel lobby, conference center, skyway, and wellness floor into a seasonal landscape concept while distinguishing the identity of each space. For instance, the terrace is subdivided into activity zones while the pool deck extends onto the terrace through unified wood and tiled surfaces, linking interior and exterior. 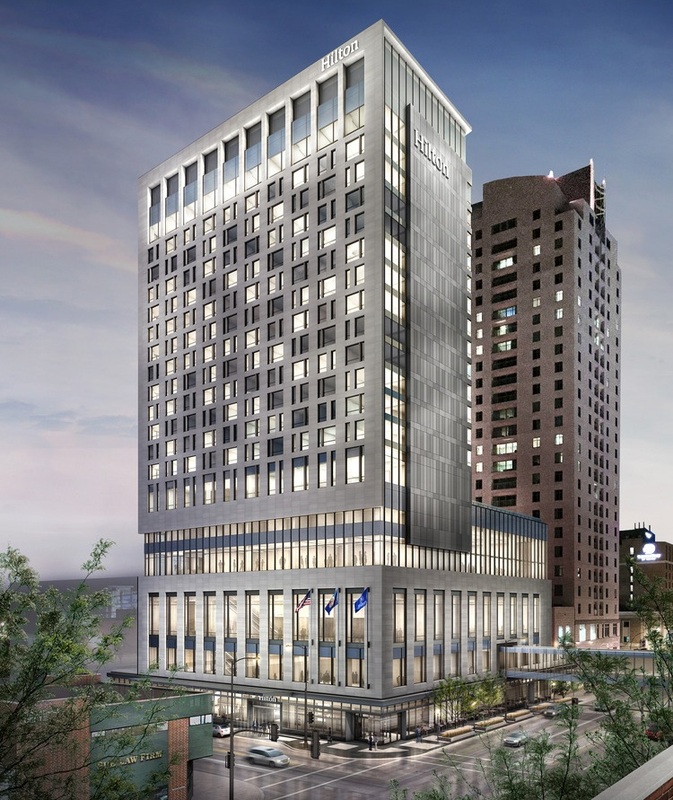 The building is part of a major investment in downtown Rochester and will continue to diversify the dining, hospitality, and recreational options downtown.